Friends will know I often avoid reading a particular book if I think the title is too outrageous or seems to me to be seeking attention. However; occasionally I have to acquiesce, especially if it's recommended to me by a friend. This has been the case in the past for The Guernsey Literary and Potato Peel Society which I really enjoyed - once I got over the ridiculous title of course. And, I'm happy to say, the same was true here. 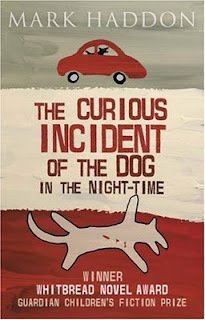 The Curious Incident of the Dog in the Night-Time is narrated by a young, autistic teenage boy named Christopher. In the beginning of the story, he discovers his neighbour's dog -Wellington - dead on the lawn and decides to become a detective and find out what happened. The book is terribly honest and funny; Christopher can't tell lies, he's mathematically gifted and has various 'behaviour problems'. He lists these in the book, some of which include: hating yellow and brown things, not liking being touched and covering his ears and groaning (which he describes as the only way to reduce the stimuli around him). Some of the items on his list are serious, but others are amusing, and the author has done an amazing job both including and balancing the humour throughout the book. I found Christopher to be an incredibly likable character and I was amazed at the author's ability to create him and the unique narrative and style of writing. I have no idea if Christopher is an accurate portrayal of a teenager with autism, however it certainly opened my eyes to how easily behaviour can be misinterpreted. 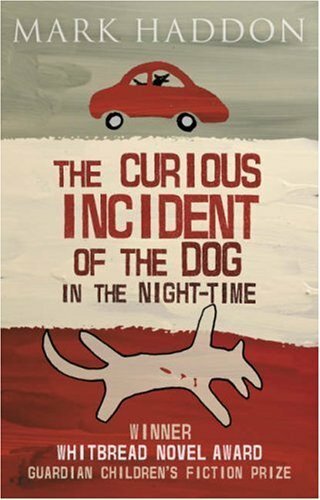 The Curious Incident of the Dog in the Night-Time was extremely easy to read (I finished it in 2 nights), and it had me smiling to myself and caring greatly for Christopher's plight. The novel won the Whitbread Book of the Year Award in 2003, and the Commonwealth Writer's Prize for Best First Book in 2004. It's a fabulous and touching read and I recommend it to everyone 10yo and over. Glad you liked it, I've been recommending it all over the place :-) it's very original (as far as I'm aware).